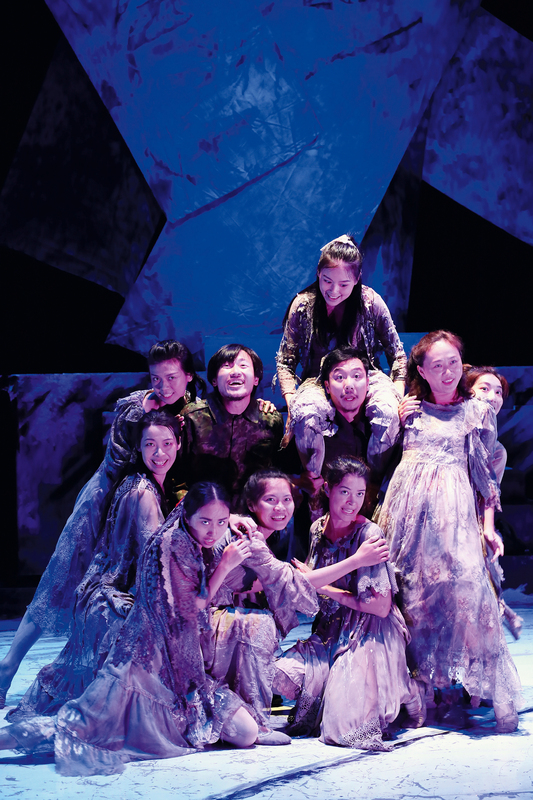 The play, written entirely in Taiwanese, weaves dance and martial arts into the performance and translates Shakespeare’s literary classic into a more colloquial vernacular. At 18, Wang Jhao-cian returned to his hometown of Chiayi to found Our Theatre. The company, which incorporates aspects of local culture into its performances, has become a hub of artistic activity for the Chiayi area. 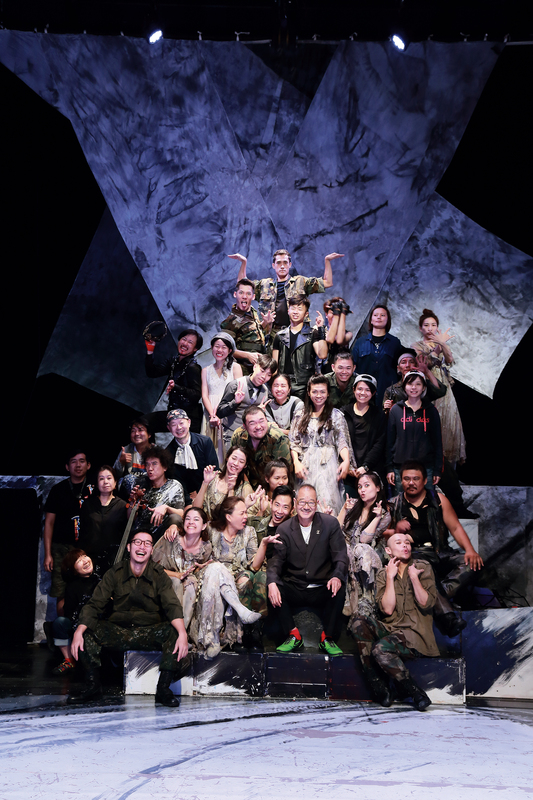 Performed entirely in Taiwanese, Our Theatre’s Macbeth: Paint It, Black! integrates music, dance, and acrobatics. With surtitles in both English and Romanian, the play astounded audiences at the Sibiu International Theatre Festival. Entirely homegrown, Our Theater relies on youthful creativity and passion for theater to win the hearts of fans both young and old. It is the final scene of Macbeth: Paint It, Black!—the Shakespearean classic as reimagined by local ­Chiayi theater company Our Theatre. The cast members gaze into the distance, singing forth a message of peace and hope in the Taiwanese language. The performers’ faces are alight with joy, and their voices pierce straight to the heart. The hope resounding in their voices is not just acting: it is the realization of their dream for international recognition—the hard-earned fruit of many years of toil. The new production of Macbeth has earned the company an invitation to Romania’s Si­biu International Theatre Festival—one of the largest theater festivals in Europe—where the play made its international debut in June. The play, written entirely in Taiwanese, is an international collaboration between Our Theatre and Japanese theater director Show Ryu­zanji. 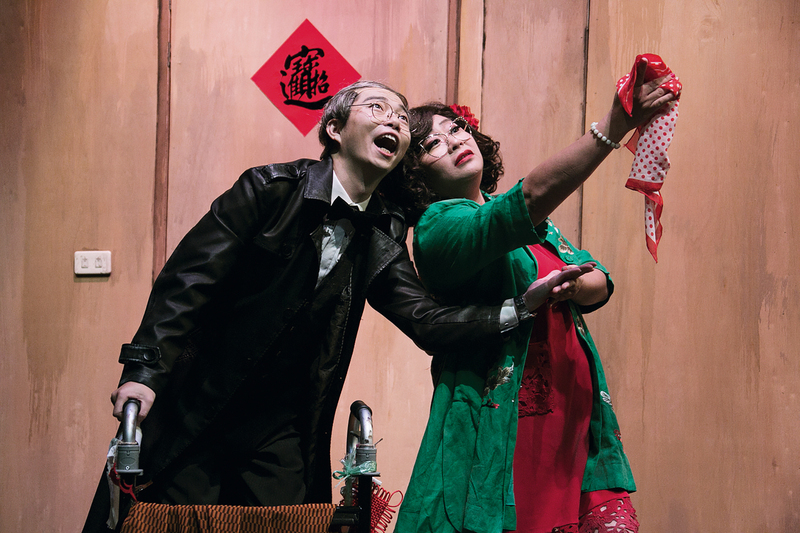 The Chiayi-based company, which excels in its theatrical portrayals of everyday life, has produced numerous adaptations of Western classics in Taiwanese. For instance, Juáh-­Thinn Hâm-Bîn (“Dog Days and Daydreams”), an adaptation of Shakespeare’s A Midsummer Night’s Dream, imbues the original work with aspects of ­Chiayi’s local culture to create an experimental work that offers a distinctively southern-Taiwanese perspective. Rich in experimental flavor and brimming with local color, the work drew the attention of Japanese theater director Show Ryu­zanji, who has been dubbed the king of Japanese fringe theater. 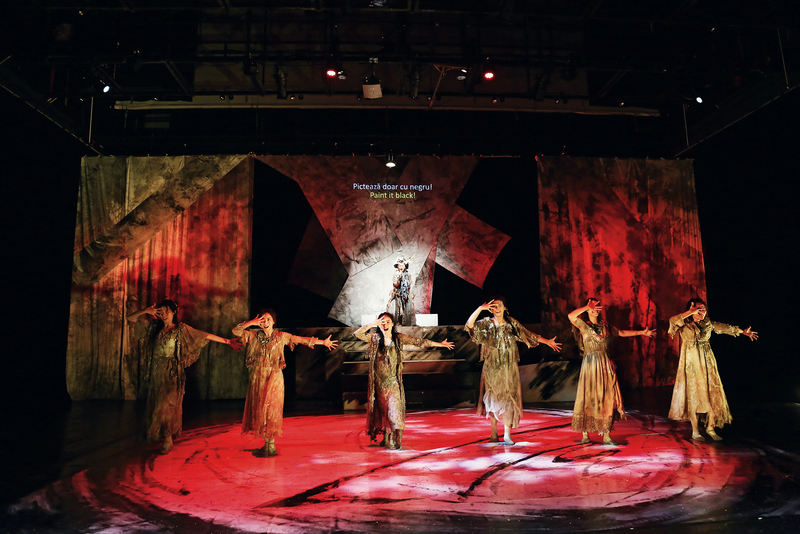 Ryu­zanji’s own production of Macbeth, which premiered in 1988, used the Vietnam War as a backdrop to highlight the meaninglessness of power struggles between men. Now over 20 years old, Ryu­zanji’s Macbeth has had four critically acclaimed international performances. The company’s members form the core of the cast, along with actors handpicked from across Taiwan. The young cast comprises nearly 30 actors in their twenties and thirties, who spent a month and a half rehearsing for the performance. The play, written entirely in Taiwanese, weaves dance and martial arts into the performance and translates Shakespeare’s literary classic into a more colloquial vernacular. It tells a tale of human desire and tenacity, and yearning for an end to wars. For Ryu­zanji, theater as an art form should touch peoples’ lives and fill the stage to bursting with vital energy. Macbeth’s tragic ending is no longer a surprise to anyone, but Ryu­zanji nonetheless instructs the performers to breathe new life into the last scene. He interprets the scene afresh, invoking the feeling of facing a new future. After Macbeth’s demise in the play’s final bloody battle, the whole cast sings “I Have a Dream” amidst the tragedy, their voices shining like a ray of hope through the darkness. 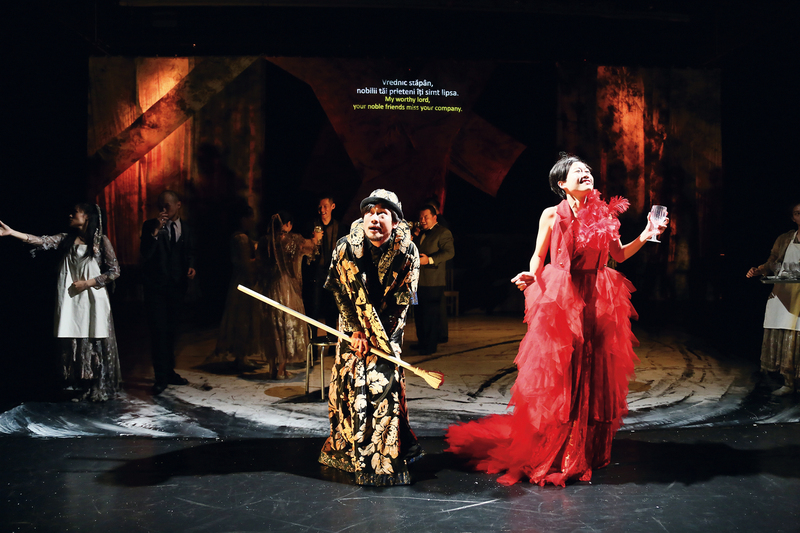 The international premiere of Our Theatre’s Macbeth in June marked the first time that a Taiwanese work has been featured on the stages of the Si­biu International Theatre Festival, thrusting the company into the international spotlight. Born and raised in ­Chiayi, artistic director Wang Jhao-cian recalls having to travel to the larger cities of Tai­chung and Kao­hsiung in order to see theater as a high-school student. These excursions planted the idea in his mind to create a local theater company based in ­Chiayi. At the age of only 18, the soon-to-be college student formed a group with several friends from his high school’s theater club—Lu Chih-chieh, Chen In-ta, and Yu Pen-chieh. From 2003 to the present, Wang has led the company through three artistic incarnations. 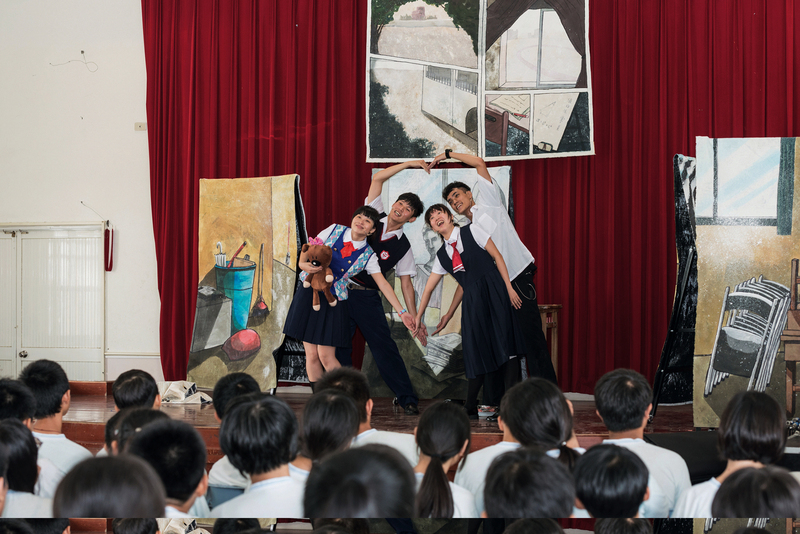 The original group members were all students, who spent their summer and winter holidays in ­Chiayi creating and rehearsing collaborative performances mostly inspired by stories from their own lives. However, six years after the company’s founding the members began to feel that the life experiences of youth were no longer sufficient to meet the needs of performance, thus precipitating a shift to more classical ­theater. 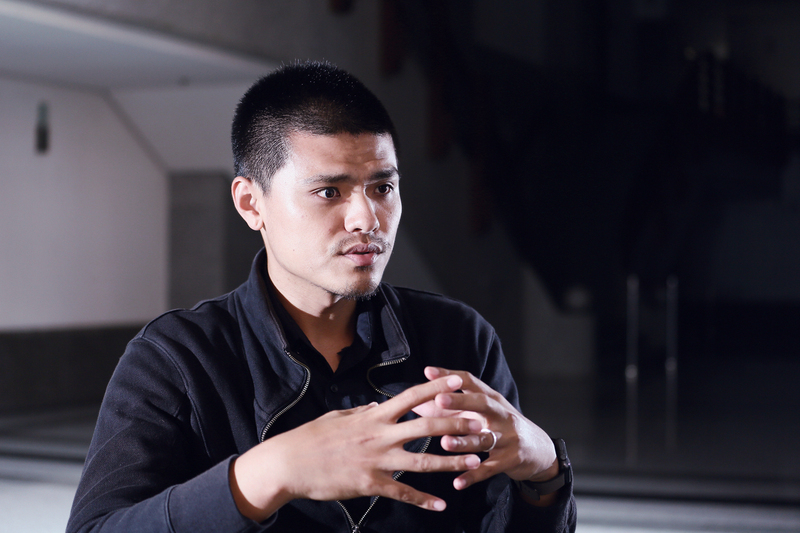 Wang insists on performing in Taiwanese because he feels that the language, once an everyday lingua franca, is gradually vanishing from contemporary life. 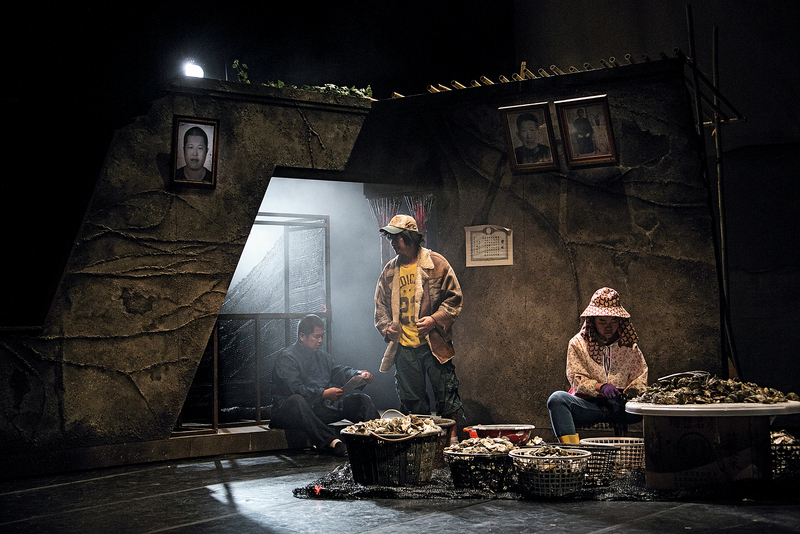 Our Theatre has occasionally met challenges in re­inter­pret­ing classic works; for instance, plays depicting alienation between city dwellers tend not to resonate with the people of ­Chiayi. The company has carved out a niche for itself through experimentation, using both Eastern and Western classics as blueprints and incorporating the life experiences of everyday people in Taiwan. For example, the company’s adaptation of Molière’s The School for Wives mimicked the entertaining commercials for unorthodox medicines heard on Taiwanese underground radio, giving the work—Kim Suí Tshī-Bóo (“Kim Sui Raises a Wife”)—a popular, folksy flavor. In another instance, the group turned the tale of the Spider Maidens (a folk legend from Tai­nan) into a love story spanning three generations—­Siânn-Tshī Luân-Ko Tsìn-Hîng ­Khiok (“The March of City Romance”)—ushering in a sophisticated new aesthetic. Prior to its 2016 collaboration on Macbeth with Ryu­zanji, the company’s repertoire consisted primarily of comedies. Knowing that ­Chiayi lacked the flourishing theatergoing culture of Tai­pei, the company chose light comedies that would move viewers’ hearts and cultivate an audience for live theater. Thanks to these efforts, the group now manages to sell at least 70% of their seats at each performance. In Our Theatre’s Taiwanese name, Guán Kio'k-Thuân, “guán” means “we,” reflecting the interactive and collaborative nature of theater. From its inception, Our Theatre has defined itself as a “theater of homecoming,” serving as a creative hub for ­Chiayi County. The group emphasizes responsibility to one’s homeland, maintaining that theater can act as a force for social change. Since 2009, the company has held its Grasstraw Festival annually, transforming ­Chiayi County’s performing arts centers into engines of creativity and offering youth a stage on which to perform. Each October, Our Theatre organizes a half-year theatrical training course for those interested in performing. The course culminates in a collaborative theatrical work created by participants and company members, with a public performance held at the next Grasstraw Festival. Theater can be a journey of self-discovery for many adolescents, yielding new insights into their untapped potential. A timid girl cast as a bulb of garlic can build self-esteem when she discovers that garlic, while seemingly mundane, actually plays a vital role in the flavor of many dishes. When parents see how earnestly their children express themselves on stage, they may realize that adolescents aren’t simply rebellious and incommunicative; they just require more patience and understanding. The Grassstraw Festival has gradually grown in scale; it is now a major cultural event, featuring theater, outdoor performances, fairs, cultural lectures, and all manner of artistic activities. 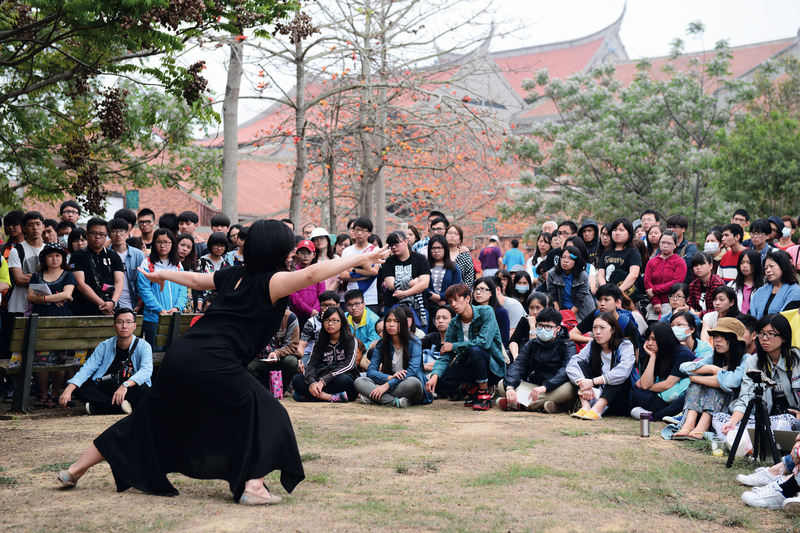 Each spring, dozens of artistic groups converge on ­Chiayi for the two-week performance festival, drawing a total audience of more than 5000. Unlike urban children, young students in rural areas often lack exposure to the arts; to remedy this, Our Theatre has brought the arts directly to them. In 2011, the group launched its “­Chiayi Countryside Project,” affording students at over 70 ­Chiayi-area schools with under 100 pupils the opportunity to enjoy the arts. Using its own funding, the company makes visits to 15 schools each year in hopes that students will get to see at least one play before they graduate. 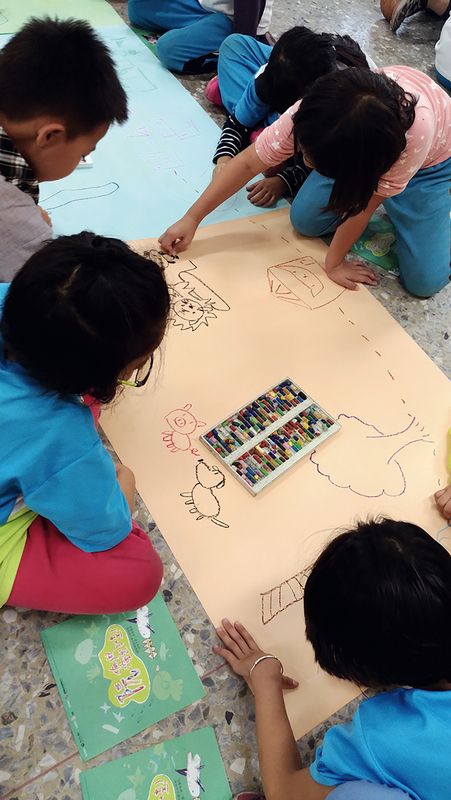 In addition to lighting up the children’s faces with interactive performances, the company members also help students draw maps of their communities. The maps encourage students to reflect on the uniqueness of their lives and the places around them. Wang Jhao-cian sees these small tokens as gifts for the students, and a way to spread the seeds of creativity. Ever experimental, Our Theatre also collaborates with Tai­chung’s Chio Tian Folk Drums and Arts Troupe. Shuttling between Tai­chung and ­Chiayi, the two groups exchange experiences as drummers and actors; this year, the members of Chio Tian will perform Restricted Area, a play written by the actors of Our Theater, who also offered theatrical advice for the production. With a formal collaboration in the works for next year, the two groups hope to explore the possibilities of live performance.